Members of the River Valley Summer Youth League in Gallipolis. Pictured are Jay (far left) and Dalton Mershon (far right) receiving a $500 contribution to the River Valley Summer Youth League in Gallipolis from Smith Chevrolet, represented here by Cindy Epling. 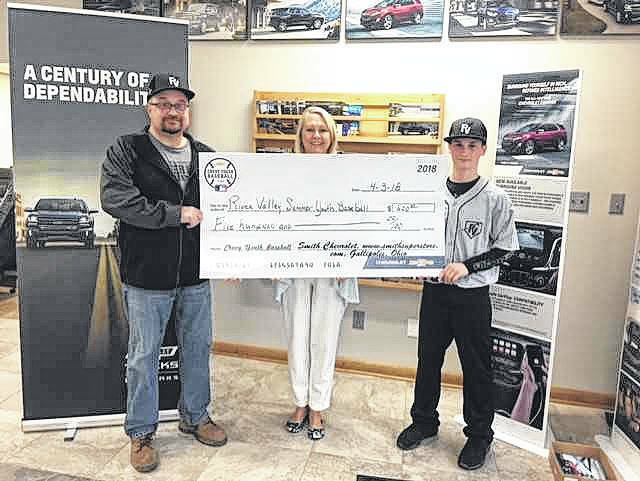 GALLIPOLIS, Ohio — Smith Chevrolet is partnering with the River Valley Summer Youth League in Gallipolis. Smith Chevrolet has joined forces with the national Chevrolet Youth Baseball program to provide new equipment, invitations to free instructional clinics, and an opportunity for community members to earn donations for their league via a Test Drive fundraiser. 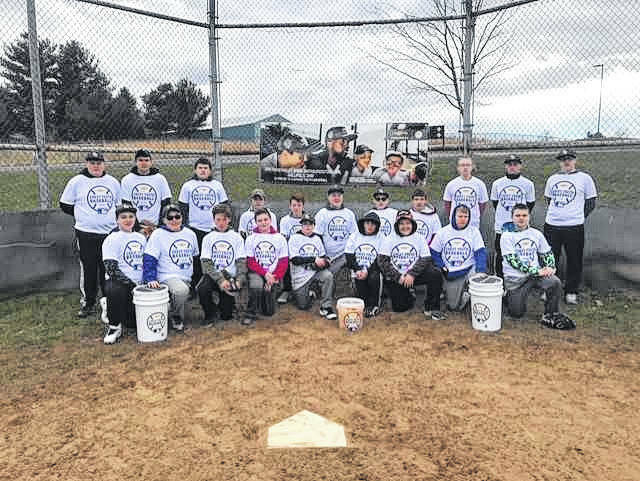 Smith Chevrolet presented an equipment kit that included useful items such as batpacks, scorebooks, industrial-strength batting tees, ball buckets and T-shirts. The sponsorship also includes youth clinics featuring current and former MLB/MiLB players and coaches, or instructors from Ripken Baseball. In addition, Smith Chevrolet presented a $500 contribution to River Valley Summer Youth League. Sponsored leagues across the country will have the chance to earn additional funds as community members take test crives at their partnering dealership to help support the league. In addition to its commitment to youth baseball, Chevrolet also is the Official Vehicle of Major League Baseball ™ . “Chevrolet vehicles are designed and built for families, safety and fun, so we encourage young people and their parents to make a Chevrolet the official vehicle of their household,” said Epling.